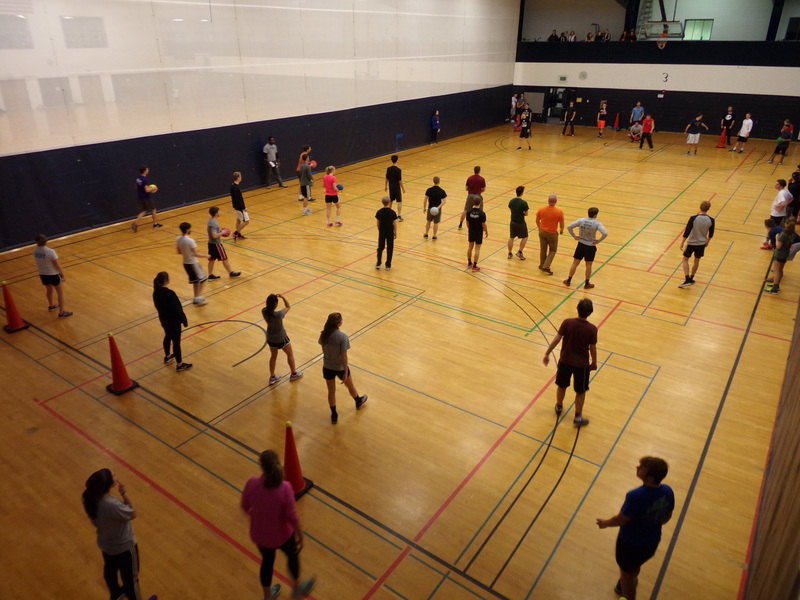 Last night, members of Messiah’s freshman, sophomore, junior, and senior classes united with their peers in Hitchcock Arena for Bombardment—the annual Eyas dodgeball tournament between the classes. The tournament featured three games per round. The first team to win two out of the three games advanced to the championship round. The back of each team’s court was also lined with five traffic cones, each with a tennis ball balanced on its point. If a team could successfully knock all five tennis balls off the opposing class’s cones, the class was granted an instant win for that game. Round one of the tournament featured two separate games. Freshmen faced off against the seniors as the sophomore class went head-to-head against the juniors. At the round’s conclusion, the senior and sophomore classes emerged victorious and advanced to the championship game. Spectators lined the track above the arena as the classes dodged and battled below. No instant wins were granted as several tennis balls remained intact on each side of the competition. Both classes were able to defend their side of the court throughout much of the final round. The sophomores managed to secure the first win, however, the seniors dominated in the final two games declaring themselves the reigning Bombardment champions. 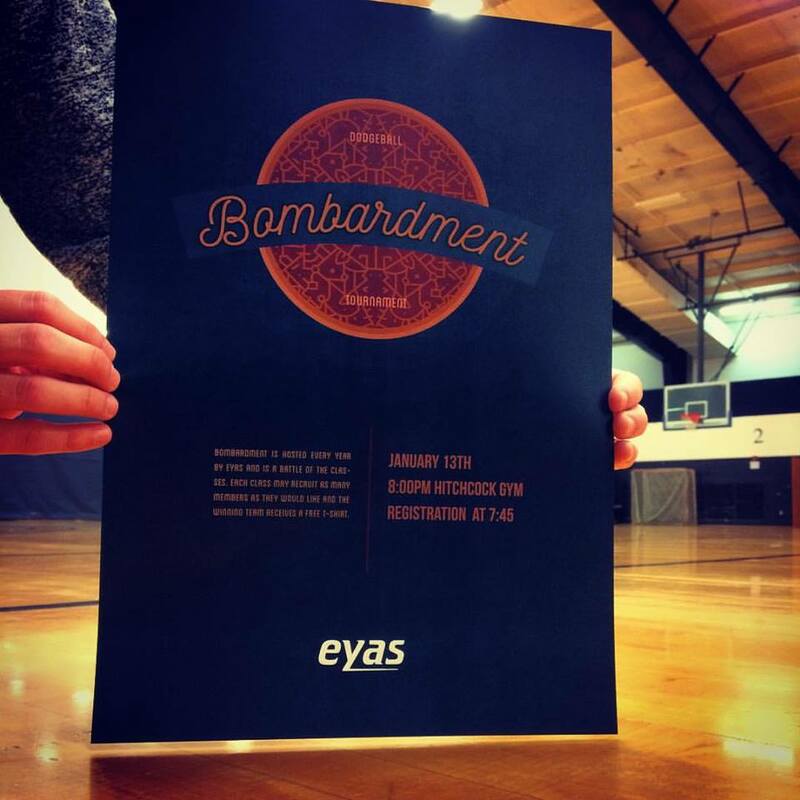 Although the competition was strong, the members of Eyas sought to establish a sense of unity between the classes throughout the tournament.